Hot of the Press! 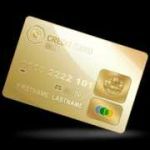 Yes, it is true, there is a way to get lower credit card interest, a way so stunningly simple, so startlingly brilliant, it’s no wonder the financial wizards didn’t think of it sooner. So lean in close and listen up, because this stellar method for getting lower credit card interest will knock your socks off. Are you ready? Here it is: Ask!